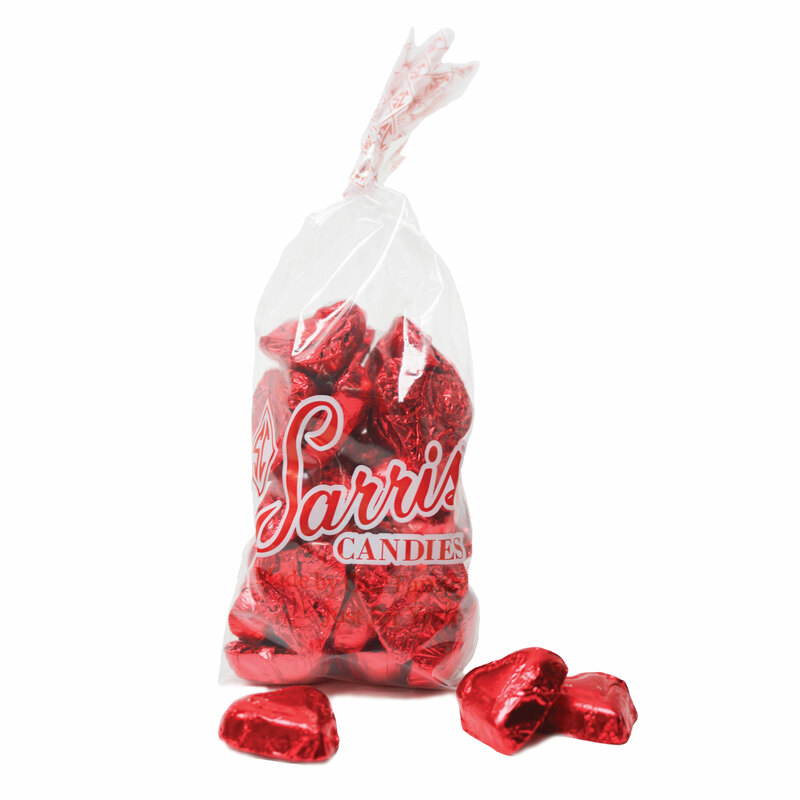 A must have for Valentine’s day, Sarris’ melt-in-your-mouth solid milk chocolate hearts are wrapped in Valentine red foil. Available in 4 oz. or 8 oz. bag.